Gosh, finally. The former Fox Hills Mall, Culver City (where the 405 meets the 90 fwy) has been going downhill for years, all while having a revolving door of small name shops. After Robinsons-May decided to exit, (no worries, never shopped there anyway), I started to wonder if anyone would re-vamp this area full of potential and wealth. 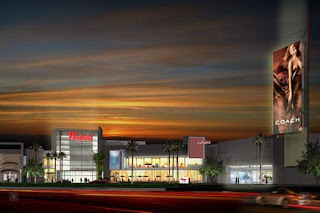 Seems like the Westfield Group has caught hold and has shelled out a breezy $75 million to bring all of our shopping and dining dreams to life at the Westfield Fox Hills Shopping Center. Where do I put my requests in? I need a Wokano, Benihana, aaaand a Chipotle. I can use a quaint H&M, Urban Outfitters, BCBG and shoes, shoes, and more shoe shops, please! I even hear talks of a new Target anchor somewhere in these plans...let's hope they change that. I am just fine with the Target down the way on Sepulveda/Jefferson...even though that parking lot is terrible. Yay! Finally! I need a local mall that sells more than Baby Phat and men's linen suits. I'm excited. Can't wait! Hey, whats that, little binoculars by your purple name?? Ha Ha, I'm not sure. I think its a present. LMAO. I'm with you on this one … I was in there Sat. for a quick minute and saw a ALDO coming soon sign up. I was like FINALLY SHEESH !! A person don't have to go 50/11 miles and use 2 tanks of gas to find some good prices on good quality shoes that won't break after one wear !! LMAO @ the present. Who's bday is it? 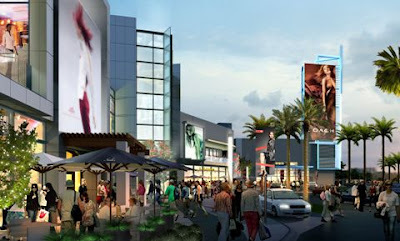 i've been eyeing this project for sometime...but the crazy thing is...they're trying to make us black folks (no matter how stylish and sophisticated) stay in "our" mall. The new movie theater is to keep us out the Bridge and the food places will keep us out the Marina so they can build that new shopping center for Playa Vista...and at the end of the day Kan & Can...that fly new outfit u cop, when they ask where'd u get that? u still have to fess up: "I went to the Fox..."
LOL@ Mr. L.A! Well, if they bring some hot stores to "our" mall, I'm shopping there! Still laughing @ baby Phat and men's linen suits. There are soo many hip hop stores in there, what's going on? I have no prob saying I got it from The Fox Hills Mall. If it's fly, it's fly. And if somebody has a problem with that, they shouldnt be checkin on me like that, no way. Ha! The thing about having a good local mall is that it gives me options. It doesn't keep me where I am. I can go down to the Beverly Center, I can go to South Coast Plaza, I can go to Bloomies online... But when I want to go nearby, I can go right here to Foxy and not be limited to Baby Phat (yuck!). This also gives the young people in our neighborhood the opportunity to have a nice little after school job nearby and not have to worry about taking 3 buses to get there. No excuses now, kiddos! So I'm all with upgrading the hood! Keep it comin! !